The breaks are located on the extreme northern edge of Cheyenne County. This area of extremely rough terrain, with its deep ravines and gullies is a marked contrast to the plains generally associated with the area. The breaks were formed by wind deposited sand, silt, and clay particles, called loess. After deposition, the loess has undergone spectacular processes of head cutting and sidewall cutting the advancing tributaries of the Arikaree River and the South Fork of the Republican River. There is uncertainty about the age of the loess, possibly Holocene Age, probably less than 9,000 years before present. Also, there is controversy about the source of the loess, possibly the Nebraska Sand Hills and/or the Platte River system. The Loess Breaks formed from the complex interactions involving stratigraphy, sedimentologic, erosional processes, and climatic systems. The breaks are 36 miles long and approximately two to three miles wide. They extend into Rawlins County and several miles into Colorado. There are few trees in the rough terrain. However, the pasture land has many yucca or soap weed as they are called by the natives. 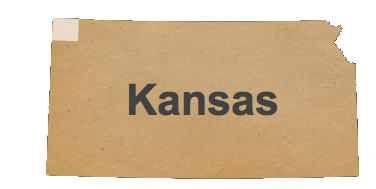 There are also two species of sage that grow in the breaks that grow no other place in Kansas and 16 native plants that are listed as 'rare' in Kansas. The hills are covered with native grasses, excellent for cattle and wildlife. Water is hard to find in some area, so ranchers have built dams to water their livestock. Wells are often drilled many miles away from the livestock and then piped into the area. There are over 20 miles of plastic pipe lines in use. There are several public roads through the breaks, giving visitors some outstanding viewing sites of this rugged wonder. Visitors are asked to please respect the land owners by remaining on the public roads. Geologically, the breaks are an exposure of three distinct geologic formations. The upper most strata is a thick mantle of tan to light brown loess, with a thickness approaching 100 feet in places. The second layer is composed of a thin remnant of the ash-grey Ogallala formation composed of sands and gravels partially cemented with calcium carbonate. The Ogallala Formation is Pliocene in age and is the main source of ground water in Cheyenne County. The lower formation is stratified, brown to yellowish-brown Pierre Shale of the late Cretaceous age. The thinly bedded Pierre Shale contains selenite crystals, bentonite seams and chalky layers.